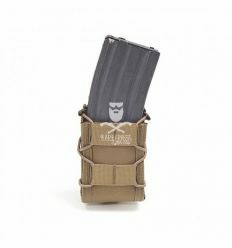 Warrior's Single Quick Mag is a versatile multi-purpose magazine pouch which holds a variety of 5.56mm magazines including P-Mags. 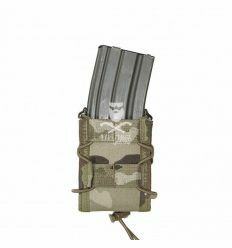 The Warrior Assault Systems Quick Mag Pouch can also hold 7.62mm x 39mm AK mags, M14, FAL, etc. 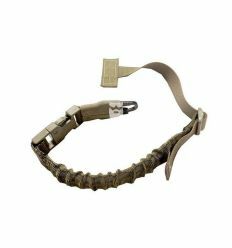 Warriors QRS sling is made from the strongest US Mill Spec I.R. Materials. It is a fully adjustable single point bungee sling which attaches via a T Bar to any MOLLE compatible Vest, Chest Rig or Armour. 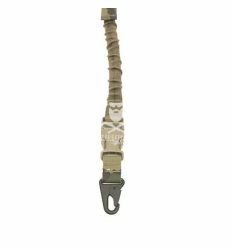 Warriors QRS sling is made from the strongest US Mil. Spec I.R. Materials. 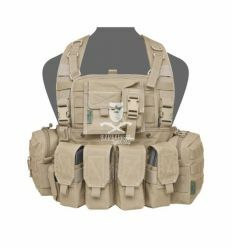 It is a fully adjustable single point bungee sling which attaches via a T Bar to any MOLLE compatible Vest, Chest Rig or Armour. Warrior's Elite Ops 901 Bravo M4 is set up on the 901 Front Opening (Patent Pending) MOLLE Platform which has revolutionised the use of the modern Chest platform.